MF360 is a 6 week online lifestyle transformation course. Delivered each week via email, this course is designed to help you fall in love with exercise, learn how to prepare nutritious food and create healthy new lifestyle habits that you can stick to in the long term. 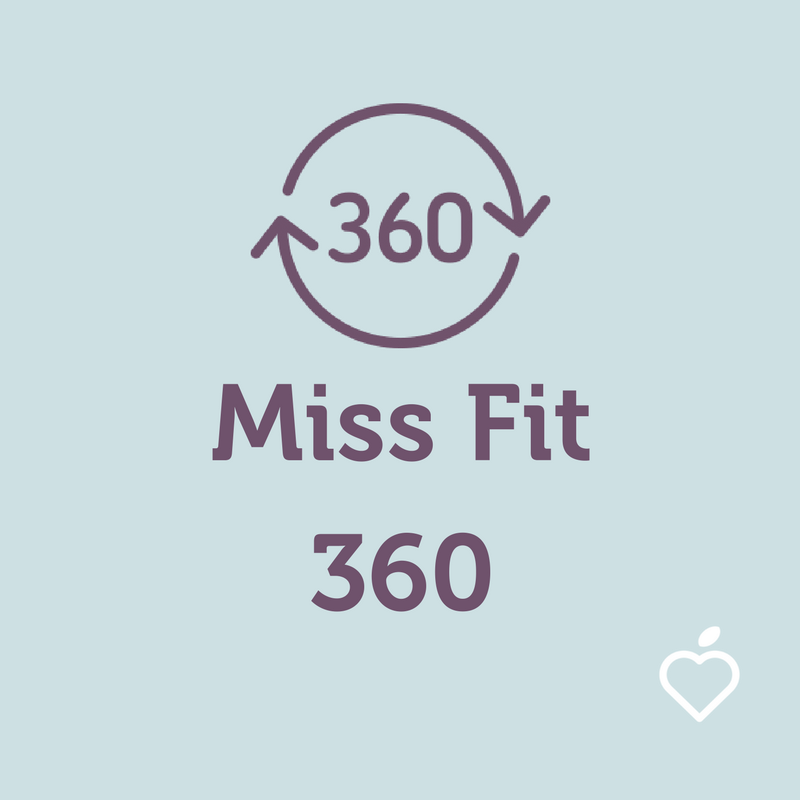 Over the 6 weeks, you'll be guided through your own personal 360 degree journey, learning how to make healthier lifestyle choices that fit easily into your life. Each week you'll receive advice on what types of exercise to do, healthy meals you can create from home plus fun wellbeing tasks which encourage you to focus on improving health, fat loss, creating a positive mindset, food & mood, relaxation, mindfulness, deeper sleep, hormone health, resilience, confidence and limitless energy. This course holds a soft spot in my heart as it was a year in the making and sums up all my top tips and key experiences from over 15 years as a personal trainer. I have poured all of my best magic into this course to give you absolutely everything you need to transform the way you feel about the wonderful body you have. It's a bumper course with over 100 pages of tips, coaching tools and much much more to help you make the transformation to your health you are dreaming of. This course is for you if you're stuck in bad habits, lack the motivation to exercise and eat healthily and need a friendly kick up the bum! It's for you if you want to boost your mental health, change unhelpful behaviours and learn how to make more positive decisions for your wellbeing. It's for you if you are feeling anxious or stressed out, sleeping poorly and want to feel more relaxed and calmer. It's the answer if you want to lose weight, boost fitness and tone up. It's for you if you are a self confessed couch potato or haven't exercised in a while and want to shake things up. It's for you if you know you are not making enough time for yourself but can't see a way out of this cycle. It's the answer if you want more energy! If you can relate to any of these, then this is the course for you! Miss Fits say they 'get the glow' and after 6 weeks have more energy than they've had for years. Stay on track and you'll be feeling super organised with creating healthy meals, feeling on top of life and into the swing of your new exercise and wellbeing routine. Follow the simple step by step instructions each week and you could be feeling fitter, looking noticeably slimmer and more toned, less stressed, more relaxed, sleeping deeper and feeling more confident and positive. Stand by for compliments to start flowing your way! 'FIT, FOOD, BE' GOALS - Each week you will receive an email where I'll give you clear advice on what exercise you can do, how to eat healthier and ways you can include more 'feel-good' activities in your week. WELLBEING TASK - You'll receive a fun 15 minute self-reflective exercise to complete each week, designed to help you revamp your lifestyle, get clearer about your personal values and ways to feel fitter, healthier, more in balance. BONUS WORKOUT VIDEO - I'll send you a bonus workout mid week which you can try at home. Wow, there's no excuse not to get moving now! You can choose to follow this course either as a self study or with added weekly Skype Coaching. Great for those who are self-motivated and like to follow a course at your own pace. If you are travelling, this is a great way to keep fit and stay healthy on the road. You might want to ask friends and family to join you on your wellbeing journey or keep it as your very own special experience. It's up to you! * In person sessions also available in Brighton & surrounding area, please enquire for appointment times.